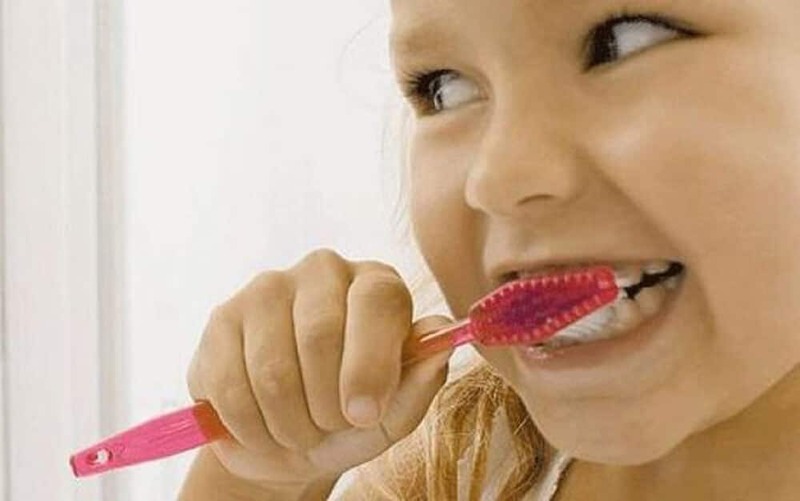 Ever wonder why some people seldom brush their teeth and have few, if any, cavities, whereas others brush and floss religiously and still have constant dental problems? Or why isolated peoples who eat traditional, whole food diets, may have never used a toothbrush, and yet have perfect, straight teeth with no decay throughout their lives? A lot of people believe that the central cause of tooth decay is the fermentation of foods on your teeth. This theory is like blaming the rain because your roof is leaking. When the roof of your home is sealed and well cared for, it will not leak, no matter how much rain falls. Similarly, when your tooth enamel is strong and healthy, your teeth will not be affected by the conditions in the mouth, or by the products of food being left on the teeth, no matter how much you brush (or don’t). So this theory is only partially true. Trying to eliminate bacteria from our mouth to prevent tooth decay is similar to trying to stop the rain from falling in order to prevent leaky roofs. The theory that bacteria in our mouth produce acids, which then cause tooth decay is also false. Saliva has a basic pH and will neutralize acids in the mouth rapidly. So if not food and bacteria, what then, does cause tooth decay? Teeth, like bones, are living organs. While they renew themselves much slower than softer organs like your skin or your liver, teeth are constantly breaking down and replacing their cells. In a healthy person, new dentin and enamel is constantly being generated from vitamins, minerals and enzymes in your bloodstream and pushed out through microscopic tubules to the outer layers of your teeth. With enough vitamins and minerals in the right ratios, teeth will constantly remineralize and regenerate themselves naturally, and do not need treatments such as fluoride to remain healthy. Tooth decay is not therefore bacteria or acids eating away at your teeth, but rather it is part of the natural cycle of the life of your teeth. In a healthy individual, the cycle of decay is checked by the renewal of cells, as healthy cells replace dead cells in our teeth, just like they do with our skin or other organs. However, due to factors including diet, toxic accumulations from the environment, and stress, the functioning of our bodies can fall out of balance, leaving us susceptible to disease. Our teeth are no different. Most of us in the Western world—where processed, sweetened, and denatured foods are prevalent—have this cycle of decay and regrowth deeply out of balance and our bodies simply cannot replace the cells in our teeth properly before disease takes over. Deposits on teeth therefore are not caused by bacterial action, but, as evidence has shown, are due to imbalances in our body chemistry. So it is not sugar, smoking, coffee, candy, soda, etc. in and of themselves that cause tooth decay. It is the malnutrition and blood sugar swings that eating such foods creates in your body that disrupts the balance in your mouth and allows decay to prevail. In essence, tooth decay—like almost all disease—is caused at its root by malnutrition, which in turn causes biochemical imbalances that leave the body weak and open to degeneration. According to Cure Tooth Decay: Heal and Prevent Cavities with Nutrition, Dr. Melvin Page, DDS and anthropologist Leon Abrams believe that it takes just a 25% imbalance of body chemistry to cause teeth to decay. After 30 years of research and 40,000 blood tests, Dr. Page discovered that a disturbance in the ratio of calcium to phosphorus in the blood causes tooth decay and gum disease. Most importantly, they found that a ratio of 8.75mg of calcium to 3.5mg of phosphorus per 100cc of blood, with normal blood sugar levels of 85mg per 100cc of blood creates immunity to tooth decay. When this ratio deviated or when blood sugar levels grew too high or low, they found that minerals were withdrawn from the dentin and bone to compensate, resulting in tooth decay. However, even if you have perfect blood sugar and an abundance of calcium and phosphorus in your diet in just the right ratio, the presence or absence of fat-soluble vitamins A, D, E and K determines whether or not your body will be able to utilize those minerals in the proper way. Unfortunately these vitamins are largely missing from the Western/American diet, and without them, all the minerals in the world will not help your bones or teeth. On average, Americans don’t get enough minerals or vitamins to be healthy because we seldom eat high-quality, fresh, organic whole foods like pasture-raised animal products and leafy green vegetables. Additionally, the Standard Western/American Diet is extremely high in sugar (including natural sugar from fruits and juices), white flour, processed, refined and denatured foods, caffeine, preservatives, and other food-borne toxins that cause rampant blood sugar swings and deficiencies, which are at the root of the epidemic of chronic disease in this country. This combination of low nutrition and high processed food leads to radical biochemical imbalances that ultimately lead to all sorts of chronic and degenerative diseases, including tooth decay and gum disease. Comparatively, Dr. Weston A. Price, DDS, performed nutrient analysis for the many isolated and modernized groups he studied when looking around the globe for causes of tooth decay. In the case of the Swiss, he found that the isolated Swiss diet contained 10 times more fat-soluble vitamins, 4 times more calcium and 4 times more phosphorus than the modern Swiss diet. The Aborigines of Australia have a native diet that contains 5 times the calcium, 6 times the phophorus and 10 times the amount of fat-soluble vitamins as the modern Australian diet. Aborigines who maintain their native diet have healthy, straight teeth, and are virtually immune to tooth decay. But those who adopt the modern Australian diet quickly succumb to tooth decay, gum disease and, in children, orthodontic misalignments and malocclusions. Dr. Price found this to be true of all peoples who have deviated from their traditional diets in favor of modern, Western food choices. Fillings, crowns, root canals, etc. do not cure tooth decay; they only treat the symptoms of a greater imbalance in the body. Getting a filling today will not guarantee that you don’t need a root canal in the same tooth or fillings in other teeth later on. Additionally, dental work, while occasionally necessary, typically uses toxic materials like fluoride, mercury and Bisphenol-A that can lead to other health problems down the road. As in all health issues, prevention through optimal nutrition is the best medicine. There is a common belief today about cavities that once you have tooth decay, that cavity can NOT be reversed or healed. But according to a study published in the British Medical Journal, cavities and tooth decay can be healed or reversed with diet. A study was performed on 62 children with cavities who were divided into three different diet groups. Group 1 ate a standard diet plus oatmeal (rich in phytic acid). Group 2 consumed their normal diet and supplemented with vitamin D. Group 3 ate a grain-free diet and took vitamin D.
In group 1, oatmeal prevented healing and encouraged new cavities, presumably due to its ability to prevent mineral absorption. In group 2, simply adding vitamin D to the diet caused most cavities to heal and fewer to form. The most striking effect was in group 3, the group eating a grain-free diet plus vitamin D, in which nearly all cavities healed and very few new cavities developed. This study, along with the backing of many doctors and dentists, is proving we have been misinformed about what causes cavities and if they can truly be reversed. Ensuring you have ample Vitamins A, D, E and K in your diet, as well as plenty of calcium, phosphorus, magnesium and other minerals is key to a healthy body and healthy teeth. insects. Although considered yucky to Westerners, insects are also an outstanding source of these vitamins, and are enjoyed by many cultures that eat traditional diets, as well as by our nearest animal relatives, the Great Apes. Because we Westerners almost never eat raw dairy, pastured eggs, organ meats or fresh, wild seafood—much less fresh, organic leafy greens and vegetables grown on healthy soils, it is common for modern Westerners to have deficiencies in Vitamins A, D, E and K, as well as most minerals, and to therefore have dental and other health problems. Even if you eat a whole food diet, can you say you eat organ meats, raw dairy, or seafood and avoid sweeteners every day? Most Westerners are not physically able to get enough Vitamin D from the sun because of where they live, the time of year, or because of the amount of pigment in their skin. And about a third of the global population cannot effectively convert beta-carotene from plants into Vitamin A. For these reasons, the majority of humanity can get optimal amounts of the vitamins A, D, E and K only from high-quality animal products. It is also for these same reasons that many vegetarians have a difficult time acquiring enough of these vital fat-soluble vitamins, and therefore have a higher susceptibility to tooth decay. Furthermore, our grains and vegetables—even from organic farms—are grown in depleted soils, so it is also difficult for modern vegetarians to get enough minerals from plant sources alone. Vegetarians would be wise to supplement their diets with plenty of organic eggs from pasture-raised hens and high-vitamin, yellow butter and dairy products from grassfed, raw milk. Vegans notoriously have dental issues. I was a vegan myself for many, many years—the later part of which were also the worst years for me in terms of dental health. It is precisely due to the lack of fat-soluble vitamins in the vegan diet that makes it very difficult for vegans to remain immune to cavities—and, in children, orthodontic issues. Vegans will have to be extra careful to make sure they get enough sun, since Vitamin D is not found reliably in any plant sources, and should have their Vitamin D levels checked regularly. Without enough Vitamin D, minerals cannot be properly absorbed and utilized in the body, which over time will create deficiencies that will deeply affect your immunity to diseases, including tooth decay and gum disease. Supplementation with Vitamin D, retinol Vitamin A, as well as Vitamin B-12 is often recommended for vegans. Vegans must also take care to eat an abundance of raw nuts, seeds, seaweeds, and leafy greens to get enough of Vitamins A, E, and K, and minerals like calcium, magnesium and phosphorus. Lastly, vegans (and everyone else too) should especially avoid radical spikes in their blood sugar from eating a lot of sweet fruit and fruit juices. If your oral health is suffering, your body chemistry is out of balance due to nutritional deficiencies. If you aren’t getting clean check-ups at the dentist, it’s because of your diet. Being highly selective about your food is key to remineralizing cavities and reaching optimal health. Optimal health is dependent on optimal nutrition which comes from optimal foods. First, avoid all packaged foods. They are of low quality and have very little nutrition. While some packaged and processed foods might be fortified, these vitamins are synthetic and are barely absorbed by the body. One would think that buying organic foods would be enough to restore proper nutrition, but consider the example of organic yogurt: It is stored in plastic containers and may not be fresh; the milk may be of average quality and lacking in nutrients because the cows were grain-fed and their milk was pasteurized. In order for dairy products to contain optimal nutrition, they must be not only be organic, but also raw, and the animals that produce them must be grass-fed and allowed to graze in the sun. Organic, free-range eggs bought at the grocery store are, at best, mediocre. For eggs to be truly nutritious, they must come from chickens allowed to roam in the sunshine eating their native diet of worms, bugs, grasses, seeds and plants. Eggs from such hens have dark orange yolks, not yellow, and are, frankly, out-of-this-world delicious. Organic vegetables are only as nutritious as they are fresh, in season, and grown on healthy, mineral-rich soils. An organic fruit or vegetable that has been grown on depleted soils and then shipped hundreds or thousands of miles to your table will only have a fraction of the nutrition of one that was harvested that day and sold at the local farm market. Not eating fat-soluble vitamins often enough. Eating sweet fruits and natural sweeteners like maple syrup and honey can still contribute to tooth decay by causing calcium to be pulled from the bones and teeth. For many people, especially those at high risk for blood sugar imbalance and tooth decay, eating sweet foods even once a day may be unhealthy. By comparison, most of our ancestors with healthy teeth and orthodonture ate NO fruit or sweeteners at all, except when rare wild fruits or honey were available in season. Phosphorus is easily depleted from our soils, so its deficiency is common in the modern diet, even if you think you eat well. Eating foods high in phosphorus, like raw nuts and seeds, grassfed meats and dairy, wild fish, and pasture-raised eggs is key to bone and tooth health. Bones and teeth also need other minerals like strontium, magnesium, and silica to be healthy. The most nutrient dense sources of these minerals are bone broths, seafood, and seaweeds. Most vegetables are grown on depleted soils—even organic ones—so you may not get enough from eating a lot of leafy greens and other vegetables alone, especially if you cook them. Many Westerners cannot properly absorb the nutrients they eat because their guts have been damaged from years of poor-quality, processed and denatured foods. It is important to include daily consumption of fermented vegetables or meats, and lots of raw foods to provide your digestive system with the probiotic bacteria and enzymes necessary to properly utilize the nutrients you eat. Eating 40% or more of your daily diet in raw vegetables and fermented, living foods is optimal. Fermented, living foods include unpasteurized sauerkraut, kimchi, kefir, and yogurt from raw milk, etc. Raw foods include all raw vegetables and fruits as well as raw eggs, steak tartar, sashimi, ceviche, etc. Nourishing Traditions and The Recipe for Living Without Disease have excellent recipes for safely preparing nourishing foods that are easy to absorb, particularly raw veggies and animal products. Diseases like tooth decay arise when your body is out of balance. 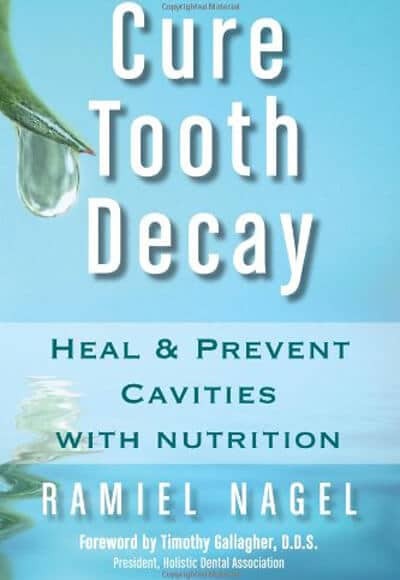 Ramiel Nagel, the author of Cure Tooth Decay: Heal and Prevent Cavities with Nutrition, has included a complete nutritional protocol in his book for reestablishing nutritional balance, remineralizing teeth and preventing tooth decay. In the book, Nagel lays out the foods that can restore oral health, the foods that should be avoided at all costs because they cause mineral deficiencies (like soy, table salt, and pasteurized dairy products, among others), and the healing herbs and oils that can alleviate tooth pain and infection in a hurry. While everyone’s road to balance is unique, the protocol in Cure Tooth Decay has been used successfully by thousands of people over the past 60 years (including us!) to minimize, prevent and even reverse and remineralize tooth decay and gum disease. However, if you have dental problems that need immediate attention, please get it from a good dentist—preferably a non-toxic, holistic dentist, if you can find one in your area. This is one of the most well written and researched pieces on tooth decay I’ve ever read and I’ve read a few books on this subject. I am almost 60, have all my own teeth and take the very vitamins and minerals you suggest. You are to be congratulated on sharing such vital and important information. The FDA is no longer a consumer advocate as much as they are a corporate advocate anymore. I will share your website with everyone I can. Wonderful, wonderful, writing, Dawn! Agreed upon the facts mentioned. Facts mentioned over the tooth decaying is a real truth. How various mineral components important for oral health especially for enamels! Strong tooth enamel restricts bacteria from decaying tooth. The reality behind tooth decay revealed well destroying the old myths. Best of all is the knowledge provided for necessity of re-mineralization. Thanks for this article. I didn’t know the causes could be so harmful. Anyways, the diet plan is also very helpful. People should give a visit to their dentists for better cure and healing. Vitamin D3, commonly considered unobtainable in a vegan diet, is available in lichen. You can find it by searching “vegan d3.” It has the added benefit of being free of many toxins usually associated with food sources of vitamin D.
Vitamin K is easily available in green leafy vegetables and vitamin K2 is available in natto and some fermented vegetables. Natto is also a great source of calcium! The statement “And about a third of the global population cannot effectively convert beta-carotene from plants into Vitamin A” may be inaccurate. The only study that I know of with similar results was performed on only 62 participants. I agree, of course, that people should get a vitamin A test done if they suspect a deficiency! I hope this helps your vegan readers who also want better teeth! This is something i have been really looking for for a long period of time, i am 25 years of age and already lost three of my tooth removed due to decay. Today the 3/6/2016 i removed one more and still undergoing pain. never want such a scenario to happen again to me or my off-springs. -Do you mean by weight, by volume or by calorie distribution? If you’re talking about calories, you’d either have to be eating an insufficient amount of healthy fats, or an absolutely enormous amount of raw veggies to get to 40% of calories. So that seems possibly misleading. Raw vegetables can be incredibly hard to digest. Certainly there are some better than others to eat raw, no? Seems important to make this distinction, before people reading this go out trying to eat raw beets or something. I suggest reading the book, where Nagel outlines the dietary advice in greater detail. Raw, fermented, living foods also include animal products like raw milk yogurt, kefir, fermented meats, etc. So I have an important question I hope someone can answer for me!! So whenever these studies are mentioned – supposedly proving that cavities can be reversed – the studies always use children. So I am questioning whether in an adult like me it is possible to reverse cavities. I have cavities, and I’m trying to reverse then instead of getting filings. I hope it’s not too late. Here are two stories of adults healing their tooth decay: here and here. It can be done, but it does require diligent adherence to the diet. I have always struggled with cavities, since being a kid. I had multiple cavities every time I went to the dentist. I’m 29 now and haven’t seen a dentist (for treatment) in probably three and a half years. The last time I went to one was in late 2012, I just went in for a cleaning, and I think maybe I’d been having a toothache, so wanted to get them looked at. They said I had three cavities, and I had to get them filled. But something in me was different, for whatever reason I determined that there must be another way I can figure it out. I haven’t seen a dentist since and my teeth feel better now than they did then. Changes I made include switching from so-called “natural” toothpaste like Tom’s or Desert Essence brands, and starting to use Uncle Harry’s brand, which consists mostly of mineral clay, with essential oils and sea salt. Also documenting what things made my teeth hurt and what didn’t. Obviously sugar is a big one. If I get sugar out of my diet my teeth feel better. Also eating more vitamin-rich foods like this article talks about. I’m eating paleo (with rare exceptions…) and my teeth feel a lot better. Certain foods are a barometer for how my teeth are doing. For example, if I’ve been slipping up and eating sugar, meaning my teeth are weaker, when I eat kimchi or grapefruit (very acidic) it will really hurt one spot in my mouth (back left bottom tooth), like instantly. If I’ve been avoiding sugar well, and my teeth are strong, then eating kimchi or grapefruit won’t hurt, or at least will hurt less. I try to therefore limit things like kimchi and sauerkraut (unfortunately, cause they have great health benefits), at least for the meantime, until my continued improved routine keeps my teeth regularly stronger. The diet described in Cure Tooth Decay, which is not a vegetarian diet. You will need the nutrient density of certain animal foods to help cure your teeth. Best to you. PEOPLE! You can’t HEAL a big hole in your mouth!! You can REMINERALIZE early, NON-CAVITATED (no hole yet) de-mineralized (think of it as a pre-cavity) areas of your teeth. Charlatans that try to get you to buy their wares by convincing you that you can heal your abscesses and cavities are simply ripping you off, I’ll charitably say perhaps unintentionally, by their lack of knowledge of the subject. i am a dentist who leans very natural and has read the entire Weston Price book, and corresponded with Mr. Nagel many years ago; he doesn’t have a clue about dentistry although I’m sure his dietary advice is great. I completely agree with the author’s dietary advice, and unlike most mainstream dentists, wholly agree with Weston Price’s findings, but DO NOT assume that you can fill up a massive hole in your tooth with new enamel. Once you are at that point, you really do need a dentist. To the person with the abscess that stopped hurting after it drained, that is because toothache pain comes from a buildup of pressure inside your jawbone. Once the “bubble” pops, the pressure is reduced and the pain decreases. It does NOT mean the problem went away. Your tooth is still full of dead tissue (aka bacteria food) and needs to be removed otherwise you will continue to have an infection, even if it is not painful. Try a mix of DMSO and iodine applied with cotton pad. It will taste terrible! So pack your gum with a paper towel to absorb saliva. If you have a carrie, that will be the source of the problem – besides all the usual external treatments, irrigate inside the tooth with magnesium salt water, and pack with magnesium salt before bed. Treat the carie with silver diamine fluoride at your dentist and repeat every 3 months. If you’re broke you can buy your own treatment – be sure to get a usb lighted dental camera. raw milk is illegal where i live. Your theory of what causes tooth decay should be put to the test. Sadly conventional dentistry assumes things without putting anything to the test. Conventional dentistry assumes without proof that tooth brushing and other oral hygiene is effective. But too much evidence proves it’s not. Conventional dentistry assumes that bacterial acids cause tooth decay without considering other possible causes. Conventional dentistry assumes that drilling and filling is the only thing to consider for a small cavity. Conventional dentistry assumes that root canals and extractions are the only thing to consider when a tooth causes pain. just the other day I was chatting with a friend who happens to work in the theater as a stylist, he made the comment that women looked better 150 years ago or even 100 years ago he remarked they were more attractive in the face then you see now! I suppose it is the bad diet that has caused a more unattractive facial structure? Could be! Women of the past had much broader faces, which is a sure sign of a better diet. Hi, I have 1 tooth with filled root canal 7 years ago, which has got a side cavity. Can be also such decay healed by correct diet? Diet can certainly prevent and even heal minor cavities, but you must be very diligent in the dietary protocol recommended in Cure Tooth Decay to affect any change. However, it depends how along the decay is in your tooth. When in doubt, see a dentist. Best to you! Hello. I don’t know if you still read the comments but I have a decayed wisdom tooth. No infection just gives me pain here and there. It has started to decay the side of the molar next to it (which is amalgam filled) is it possible to heal me without wisdom tooth extraction? I can’t eat meat I only could afford conventional so I avoid bit I started more fish and fish broth and all the rest apart from meat and raw dairy. Do u sound like I have a chance? If the decay is so bad that it is spreading, you really need to see a dentist. Dietary measures can work best for minor decay and small cavities. You are mistaken. Teeth consist of enamel, dentin, cementum, and pulp tissue. Enamel is the hardest substance in the body. It covers the outer layer of the tooth in a protective shell. Dentin forms the next layer of the tooth. Dentin makes up about 75% of a normal adult tooth. It has about the same density as bone but is actually living tissue that contains special cells, called odontoblasts, which secrete a hard mineral substance. Their job is to regenerate new enamel from the nutrients delivered by the blood cells. Thanks for sharing the useful information with us. Nice article mama, now time is changed and people has no time care his/her self. And also day by day the quality of food they taken is also somehow low or not good. So in young age they faces teeth problem..
Do agree with the facts mentioned herein, especially the truth that when enamels are property cared, then worries will be less that encounters tooth decay! Having strong enamels levels on teeth is like a stopping shelter keeping away food particles trying to stick on teeth and preventing the bacterial colonies so far. Real Causes of tooth decay you have revealed are a real knowledge, enough to break some dental myths. Teeth re-mineralize and regenerate themselves naturally and require no treatments to persist healthy nature – good to know. Rest information so far following one over another is pretty well! I stopped tooth decay naturally and Dr. Weston Price’s book helped a lot. Another book that help was from Bruce Fife on Oil Pulling. Combining the knowledge from Dr. Weston Price work and all the nutrition knowledge we have now, it is easy to stay decay free, naturally. I totally agree with you about eating correctly. However, it is so hard to do – especially if you are low income and cannot afford the foods recommended. It is disheartening to know what to do and not have access to the tools to do so. I guess at that point, you do the best that you can and pray for the rest. Liver and other organ meats (even pasture raised) are usually very cheap and are powerful superfoods for great teeth and health. This would be a great place to start on a tight budget! 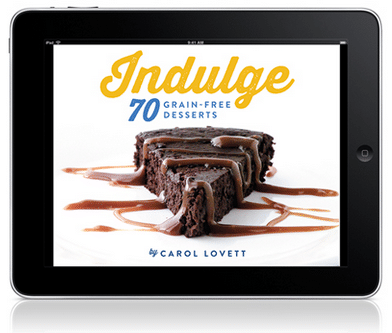 The book has included a complete nutritional protocol in his book for re-establishing nutritional balance. Reading it might help all those who are suffering from tooth decay issues. Even I believe that central cause of tooth decay is the chemical breakdown of a substance by bacteria of foods on your teeth. I liked the explanation from your side with a good example. We should always share our tooth problems with a professional dentist and consult them about it. Can you tell me what the pH of the acid produced by bacteria and he pH of saliva is in the mouth and how these unequal measurements can neutralize each other? I would like the scientific explanation. Also, can you also address how the hierarchy of the stratified bacteria on the teeth protects them from saliva and mechanical forces such as swallowing? There is no scientific evidence, by that I mean primary literature, backing up your claims. I would also like the links to scientific primary literature explaining what harmful affects fluoride cause. I can see that you are unaware that this is a book review. (!!) Bloggers are reporters and are secondary sources of information. I suggest you refer to the primary source from which this review was written, Cure Tooth Decay by Ramiel Nagel, for the information you seek. You will find copious references and other information within the primary source, as well as within the other links in the above review. I find it disingenuous that you cannot seem to find the primary source, since it is so obvious. Or maybe it’s just processed white sugar. They always find that it is the processing that causes the biggest problems. White flour irritates some people, makes them fat. Any purified drug has the power to do you in in some capacity. They are all hard on the body. But I don’t really buy this. I don’t know anyone who looks after their teeth constantly that has that many problems. I have problems. But I’ll stupid. I don’t even brush after having hard sugar candy and I’m surprised when I end up with a cavity. But we need to figure out what reverses cavities without brushing our teeth like we wash our hair: way too much. While white sugar is not the greatest, many people have bad tooth problems without eating any white sugar or processed foods at all. Even babies’ first teeth are sometimes coming in weak and discolored these days, indicating severe nutrient deficiencies in utero. 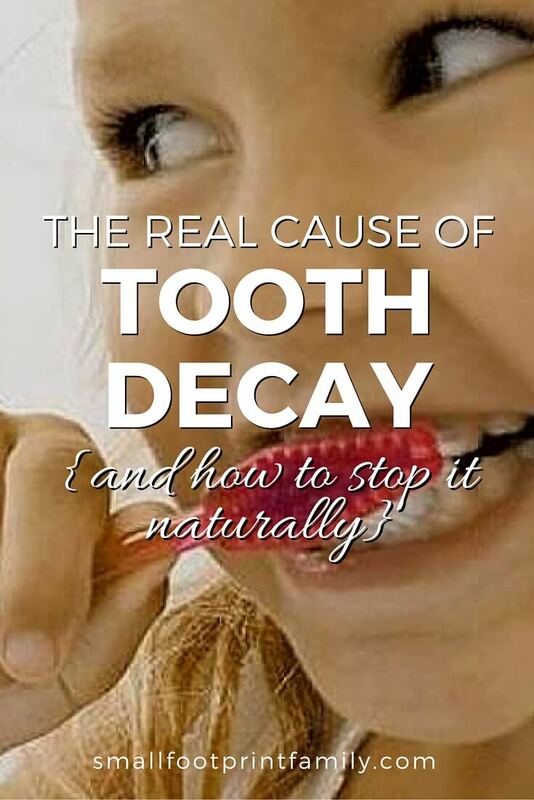 Many people have healed minor cavities and stopped decay using the dietary protocols in Nagel’s book simply because the diet restores minerals to the body, which our teeth and bones are made from. Our teeth are definitely a reflection of our health status and our mineral reserves in the body. The healthiest people in the world who live the longest and have the least tooth decay certainly don’t avoid the occasional sweet treat, and don’t even brush their teeth! If you eat seafood, your teeth will be healthy. This basis of this whole article is that your body slowly replaces enamel, like skin cells or hair are replaced. This is incorrect! You do not grow and replace enamel, ever. If I am wrong, then someone please link me to a reliable medical reference that says otherwise. All references I found say it does not regrow. Dentin receives nutrients, and the cells die and are replaced, but NOT the enamel. You can develop thin enamel due to poor diet when the teeth are forming or genetics, but that’s all. Actually remineralization is the process you are describing that is the basis of this article. Remineralization of teeth is a well-established and studied phenomenon. Were it not for the natural process of remineralization, our teeth would crumble right out of our heads! Unfortunately, for many people, that natural process is dysfunctional, and we have an epidemic of tooth decay, despite fluoridation. The body’s ability to remineralize our teeth is largely dependent on our health and nutrition status, and whether we have an optimal level of raw materials to maintain balance in the mouth. This article is meant to point readers towards how to get those optimal levels—and therefore prevent and heal tooth decay—through a nutrient-dense, traditional diet. Demineralization is part of the process of tooth decay, and the minerals can be recovered and the enamel re-strengthened as long as it happens before the decay starts and the lattice breaks down. Once the enamel has started to decay, there is no way to regrow it. You can’t “heal” a cavity. Enamel does not work that way. Enamel is formed before the tooth erupts, and you are set with that amount for the rest of your life. If it decays, it’s gone. Please refer to “Histology: a text and atlas” by Ross, Michael H., Kaye, G.I. and Pawlina, W. (2006) Page 3. Don’t get me wrong, I think healthy diet with natural foods is VERY important for good nutrition. but saying it will regrow enamel is just not true. I have personally avoided fillings for small cavities through intensive dietary strategies advocated in Cure Tooth Decay. My dentist was all for me giving it a try to avoid going under the drill, and even gave me a special remineralization paste to help with the process. I’ve also seen a handful of moms turn around brown, nasty “bottle rotten” teeth in their children, also through dietary changes. There is no shortage of people who have been successful with the protocols advocated by both the author of the book and by many progressive dentists, like mine. While enamel may be set at birth, and deep decay must be filled, you can indeed turn around minor decay via conscious, planned remineralization strategies. I think you’re failing to make a distinction between REmineralization (i.e., the re-hardening of existing minerals) of the tooth enamel and REGROWTH of the tooth enamel. Regrowth means that cells are lost, shed, no longer there, etc (such as skin cells slough off) and then REPLACED with new cells. Taht is not so with enamel. Yes, there is existence of miniscule, microscopic remineralization, whereby the soft parts of the enamel harden again. But that is a very big difference from implying the ability to grow new enamel cells. Also, I call “shenanigans” on moms “turning around” teeth decayed by baby bottle rot. The very term “bottle rot” signifies a moderate-to-severe level of decay which cannot be reversed. a Registered Dental Hygienist in New York State. AAS in Dental Hygiene. cavities sometimes happens. They don’t believe that a fully formed and extremely obvious cavity can remineralize but there is some acceptance by conventional dentists that a very tiny cavity can under optimal conditions can remineralize. If they accept limited remineralization as fact, they generally believe that fluorides are the way to do it. As the saying goes, “we are what we eat”. Nutrition determines the health of our teeth, and the health of our bodies. With optimum nutrition, we can fight cavities and cure them. I have read the books you mentioned in this post, and also this truly amazing book, Never Get Another Cavity. These books advocate proper nutrition as the key element in building strong teeth that are practically immune to cavities, much like the native people you’ve mention in this post, who had never seen a toothbrush and yet had amazingly healthy teeth. In the book, Never Get Another Cavity, it also adds oil pulling and the use of a natural toothbrush called Miswak to help cure tooth decay. Do you have a good resource of insect eating? We are ready to look into this aspect of nutrition ourselves, as our 5 hectare organic pasture may host a bounty of species. I ate grasshoppers once in college as part of the entomology days and it was not unpleasant, just need to get past the first few, then all is golden. I do not know much about insect eating, since it simply isn’t done much in the U.S. But check out this site and this site to learn more. I did enjoyed this article it is very helpful and encouraging, it did guide me. Thanks for all the info Dawn! Quick question, in your toothpaste recipe you include Xylitol as an ingredient, yet the video above lists Xylitol as a food to avoid for healthy teeth…can you explain? We use xylitol because it is known to kill the germs that cause tooth decay, which is why it is used in Trident toothpaste, etc. There are some who feel it should not be eaten because it is a sugar alcohol that interferes with metabolism of nutrients. I would tend to agree, which is why I brush with it, instead of eat it. Thanks! I love your website! So much great information. Seventeen years ago I would have agreed with this theory but not now. The reason for this is that it is now known that the potential thickness of your tooth enamel is determined by genetics. Although through diet a person may end up with even less enamel coating, you will not have more than the maximum predetermined at birth. The width of your palette is also determined genetically. Apart from there being scientific evidence to support this, I also have first hand experience. All three of my daughters grew up in one of the sunniest places in Europe ( year round), spent much of their young lives outside and have been fed a perfect diet after breast feeding. Nutrient dense, whole raw milk, complex carbs, no empty calories, home grown vegetables, healthy fish oils, good lean protein, green smoothies etc. Every single one had hopelessly crooked teeth by the age of 13 and had to endure years of orthodontics. Why? Because my maternal grandmother had crooked teeth, my mother had them and I had them. We all have a narrow palette.The level of tooth decay in past generations of my family has reduced significantly for myself and my immediate family however. However, my neighbours in the UK are a family whose diet is very different and packed with junk food and empty calories, they eat that way as their parents did. All of them have nice wide pallets, straight and strong teeth. There is a strong genetic component and the evidence to back it up is out there. I have grown to become a little more skeptical of far reaching claims like this, as it’s rarely as simple as they have you believe. It is not MY theory, rather it is the theory behind Cure Tooth Decay and Deep Nutrition, two books written based on the latest science in dental health and epigenetics, respectively. Epigenetics is the theory that DNA is NOT destiny, and in fact gene expression is largely determined by the information that cells get from their immediate environment—the chemicals in your blood from food, medicines, stress, environmental toxins, etc. In other words, food is INFORMATION that tells your cells how to behave, which genes to turn on and which to turn off—even in utero. Healthy, whole food is data that tells the body to behave in healthy ways at a genetic level. Likewise, bad food full of chemicals, stress, environmental toxins, etc. is also data that provides different information to your DNA, causing a different, and often harmful, gene expression. We can literally flip genes on and off via diet and environment, and then pass those genes in an on or off state to our children—which is the most exciting idea of the 21st century. I cannot recommend these two books enough. Furthermore, the evidence for traditional nutrition affecting dental malocclusion, cavities and health in general has also been very well established since 1930 up to the present through the many works of Drs. Weston A Price, DDS, Melvin Page, DDS, and Francis Pottenger, MD, et al. 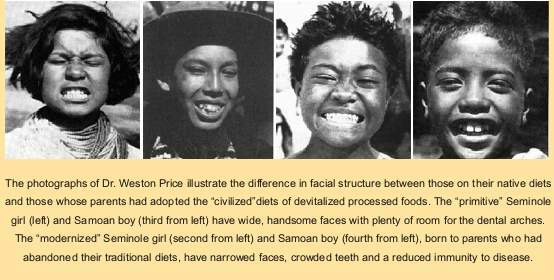 It is relatively common for non-Western peoples who have had good health and teeth for as many generations as they can remember to experience rapid physical and dental degeneration in the children of the first generation to eat a Western diet. This is best explained (with stunning intergenerational photos) in Nutrition and Physical Degeneration by Dr. Weston Price. In my own anecdotal experience, I am the ONLY member of my family (extended too) to have had horrible teeth and glasses. I am also the only member of my family who was raised by a mom who smoked like a chimney, took tons of medications, was totally stressed out, and ate very poorly. I also ate very, very poorly as a young person and took tons of antibiotics, which affect gut flora and your ability to assimilate nutrients. My brother who was born 3.5 years later, after my mom cleaned up her life a bit, did not have these problems, and he has also always been a great eater. We look like we could be twins, except his face is much wider. He, like the rest of my family, has never had orthodontics or glasses. Yes, it is rarely simple or black and white, but the scientific evidence that good diet has an ENORMOUS effect on the expression of our genes and on the health of our teeth is pretty overwhelming. Vegans are hardly notorious for tooth problems, I’ve been a vegan for years, and have known hundreds of vegans through organizations, activism, ect and have met a small handful with tooth problems, and all those people ate a SAD, just veganized, high in sugar and processed foods. Thanks for commenting! Obviously your mileage varies, which is great. Who wants tooth decay?!?! 🙂 However, there are MILLIONS of SAD vegans, misinformed vegans, or vegans on very tight budgets who aren’t getting the fat soluble nutrients that they would if they ate even a SAD omnivorous diet (not that I recommend that). I used to be one of the misinformed, very-low-budget types, and belonged to a community full of them, and our teeth were falling apart. I also spend time with a lot of RAW vegans today, and in the raw vegan community, tooth problems are indeed rampant and notorious, and this problem is regularly talked about on blogs, websites, forums, etc. Best to you! Great post, Mama! One minor clarification – vitamin D3 is not appropriate for vegans because it’s derived from wool. D2 is plant-based and typically used in supplements for vegetarians and vegans. Thanks, Alan. You’re quite right. However vegans should know that Vitamin D2, which is sourced from yeast, is not as effective at raising Vitamin D levels in the body as Vitamin D3, especially when the D3 is sourced from fish oils (as opposed to lanolin). Therefore vegans will have to take more D2 to reach optimal health. See http://www.ajcn.org/cgi/content/full/84/4/694 for more info. Most holistic practitioners are now recommending at least 1000 IU of Vitamin D3 per day, but up to 10,000 IU can be taken without toxicity. Vegans would need at least 1000 IU of D2. Knowing how deficient you are via blood test can help determine the dosage you need.